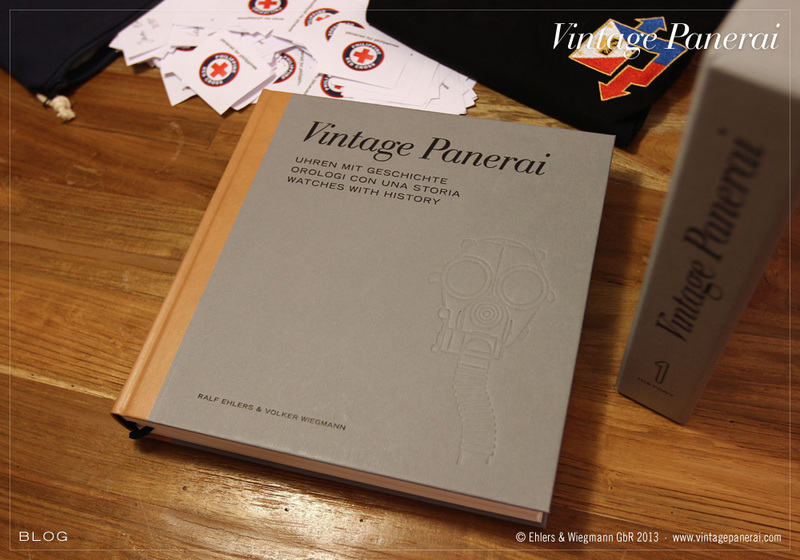 For the fund raising project to help the people of the Philippines we offered an unique copy of our book “History1” as one of 18 prices of a raffle draw, which was announced in the public forum at www.paneristi.com. 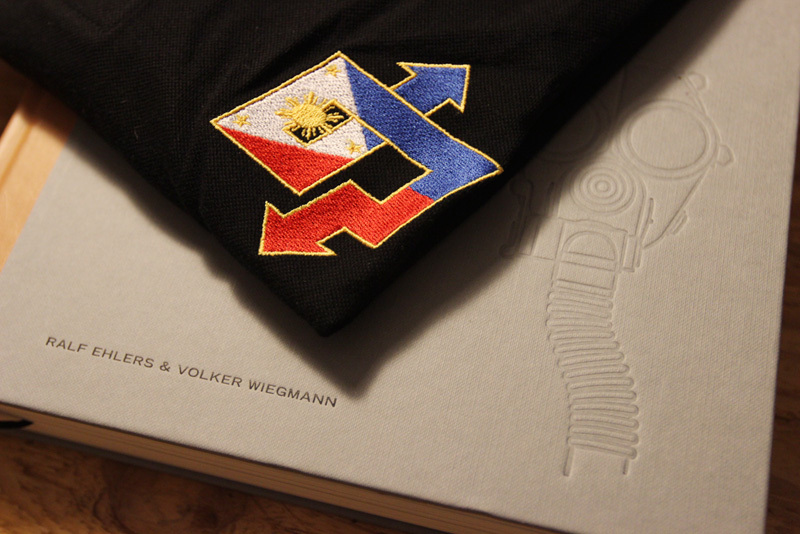 The two german frogmen veterans Heinz Pape and Karl-Heinz Kiefer, as well as the widow of frogmen Heinz Günter Lehmann and the daughter of the commander of the italian submarine “Ambra” (transporter for SLC and frogmen commandos), Mario Arillo, signed this book in advance for a special occasion in shape of a charity project last year. After the shocking news about the typhoon Haiyan we decided to use this book to help people in need. 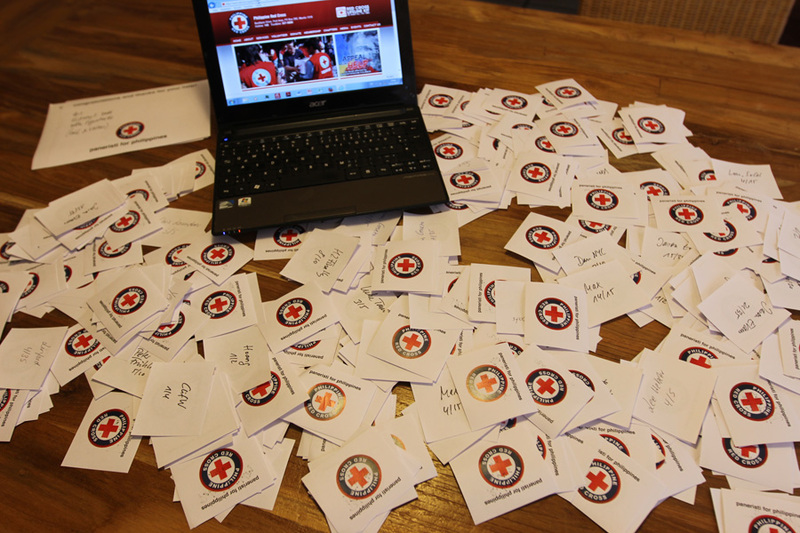 In only four days, 582 tickets (each worth 600 PHP / 10 EUR) came together and were donated directly to the Philippine Red Cross by the supporters of the fund raising project. A total of 349.200 PHP / 5820 EUR (plus more than 200 EUR by anonymous donators) were the result! One of the 18 lucky winners will receive this unique copy of “History1” very soon. After the raffle draw we informed the two veterans, the widow and the daughter about the result of the fund raising project, who were glad to hear that their signatures in the book and many other contributed prizes helped the victims of the terrible typhoon Haiyan. On behalf of Heinz Pape, Karl-Heinz Kiefer, Mrs. Lehmann and Mrs. Tartarini-Arillo we are glad to forward their greetings and thanks to all supporters! Paneristi for Philippines – the winners! 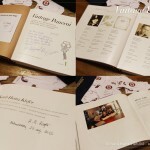 Read more about the raffle draw with 18 prizes and many many winners in the public Forum at www.paneristi.com. Thanks for helping with us! Paneristi for Philippines – donate, help and win! 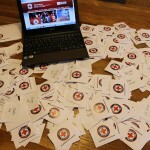 Since wednesday, more than 4000 EUR have been donated to the Philippine Red Cross. Paneristi from all around the world donated to help the victims of the terrible typhoon across the Philippines. 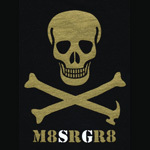 Various donators offered prizes for the raffle draw which takes progress today (sunday 4 PM CET). Every 600 PHP stands for one ticket in the raffle. The raffle draw will be held today 4 PM CET – in about four hours – so its still time to donate and win a prize! Paneristi for Philippines – please donate and help! Please help us to raise some funds for the victims of the typhoon Haijan! 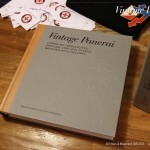 We announced a raffle draw at the paneristi.com public forum. After you donated a Minimum of 600 PHP directly at the Website of the Philippine Red Cross, you get a ticket for the raffle draw. 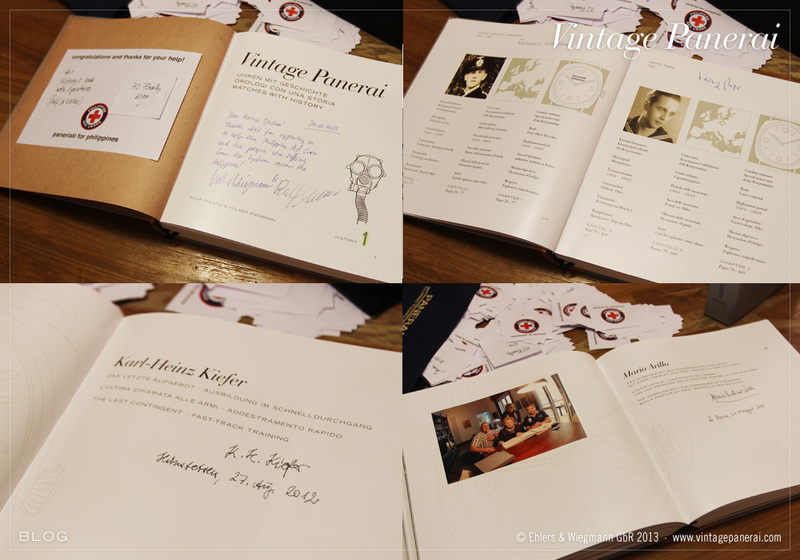 One of the raffle prices is a copy of our book “History1” with signatures of two of the veterans: Heinz Pape and Karl-Heinz Kiefer, also the widow of Heinz Günter Lehmann and the daughter of Mario Arillo. Find more info how to get one or more tickets for the raffle here. Donations have to be sent until sunday afternoon (european time). Please reply your proof on the posting at paneristi.com. 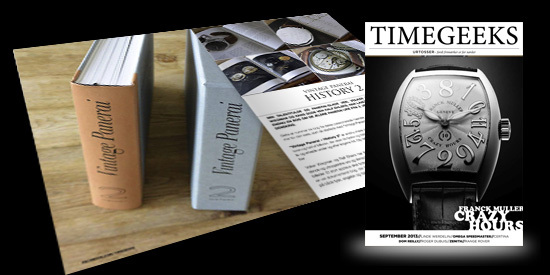 Our new book “History2″ is featured in the new “timegeeks” magazine on page 6, introducing new watch book releases (http://timegeeks.dk). Kristian Haagen, a passionated watch enthusiast and journalist, has provided us his latest magazine’s edition as pdf-file: September 2013. 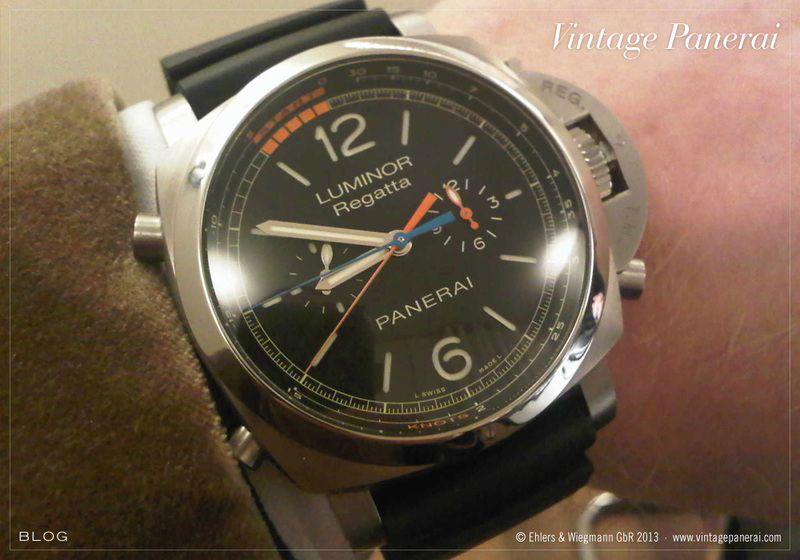 Kristian “Bezelator” Haagen is known in the watch world as a long-term member of the paneristi.com forum since september 2000. He received the 2003 and 2004 “asshat award” and his unforgettable “corkscrew treatment” will remain as one of the most attended performances ever made by a paneristi.com member. 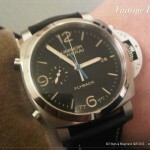 Returned home from my visit at the SIHH in Geneve last friday. 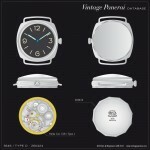 It was great to see that Panerai continue to use their DNA in the new collection. Aside new models without the crown protecting device (PAM 514, 515) in 47 mm, following the introduction models from last year, also models in 42 mm were introduced (PAM 512, 513). Also the new Submersible models are noteable: another bronze watch (PAM 507) – with power reserve indicator, and a ceramic version (PAM 508), both in 47 mm, are really huge pieces and will surely get a lot of friends in the Panerai collectors world. My personal highlight was the new “Regatta Chrono” (PAM 526) in a 47 mm Luminor case, which is powered with P.9100/R movement. As Panerai is strongly linked to the world of classic yachts, a watch with perfect functionality for sailing is in my opinion a great achievement. Congratulations! The P.9100/R automatic movement has a diameter of 31 mm, it is 9.55 mm thick, 37 jewels and made up of 328 components. It has the flyback chrono function with vertical clutch and column wheel. It has a power reserve of 3 days. 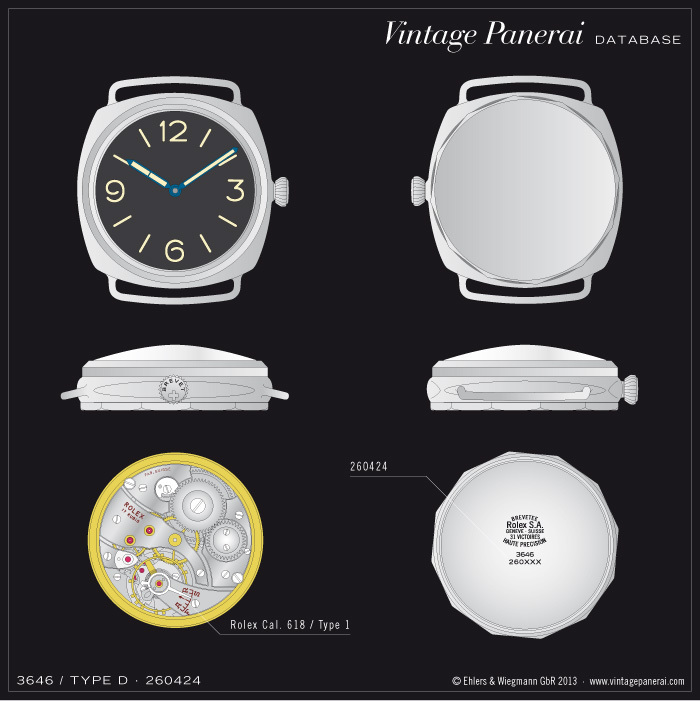 The small subdial at 3 o’clock shows a complete mini Panerai dial – a very nice detail. To put on this watch was a pleasure, with 47 mm it is really a huge impressive watch, which wears excellent with the rubber strap… Like! 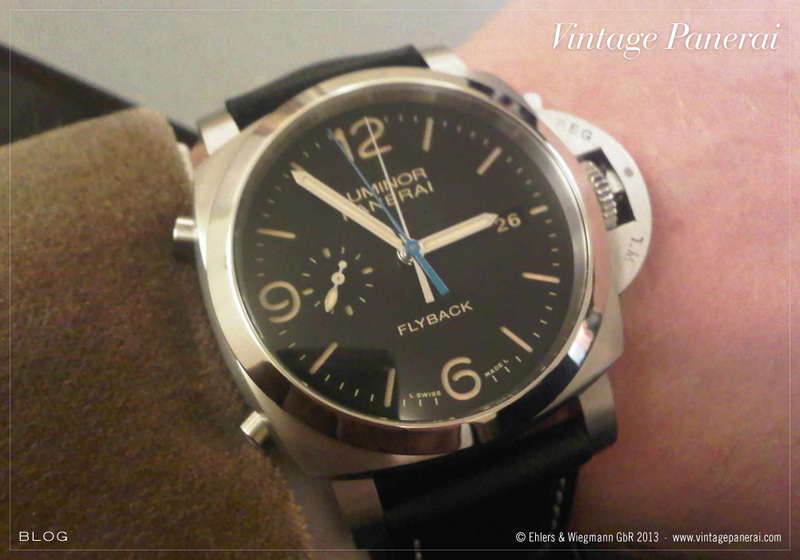 Another chrono found my instant attention as well: the new Luminor 1950 3 Days Chrono Flyback in 44 mm (PAM 524). Its engine, the P.9100 movement, is the first automatic movement with chronograph functions developed by Officine Panerai and its produced entirely in its Manufacture in Neuchatel / Switzerland. The movement has a diameter of 31 mm with a height of 8.15 mm, also 37 jewels and made of 302 components. Two spring barrels give it a power reserve of 72 hours. The luminous material in patina color gives it a nicely vintage touch. This watch is, as the Regatta chrono (PAM 526) above, partially polished and brushed – very fine surface treatments, excellent! 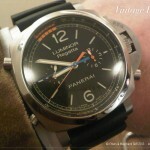 Sorry for the crappy smartphone pictures… you can find much better photos, taken by Martin Wilmsen at the paneristi.com SIHH 2013 section. Gush Mundae from www.paneristi.com stopped by at Volker’s place for an interview to be featured in the latest edition of “Risti connect”. The interview has been posted here. Enjoy reading! 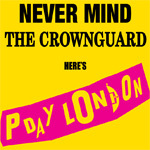 Returned from a fantastic journey to the United Kingdom, where P-DAY#11 was celebrated in London. I’ve published a report in the public forum at www.paneristi.com. Enjoy reading part 1 / part 2 and part 3.